Rider Greek organizations under the Interfraternity Council – Sigma Phi Epsilon (top left), Tau Kappa Epsilon (top right) and Theta Chi (bottom) – welcomed 20 new members during this semester’s recruitment. 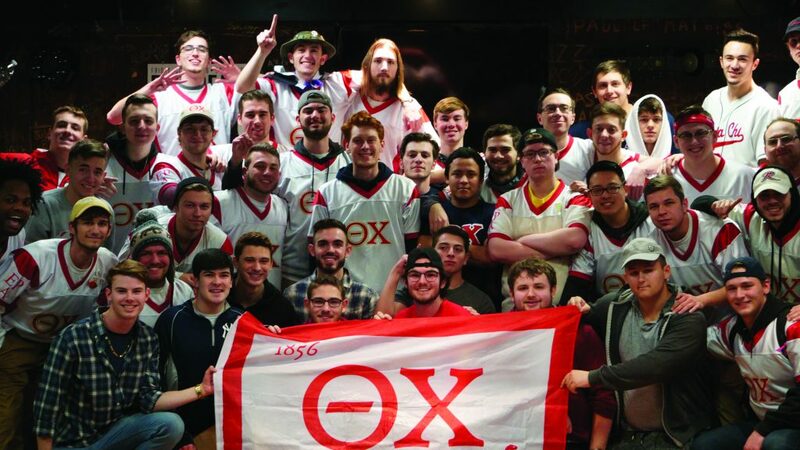 Greek organizations on college campuses are among the largest collegiate organizations in the world, as they span across the country with multiple different chapters. At Rider, 20 new members have been recruited into three respective fraternities under the Interfraternity Council (IFC) — Tau Kappa Epsilon, Sigma Phi Epsilon and Theta Chi. Recruitment occurs annually for IFC fraternities for one week during the spring semester. This year, it took place from Jan. 28 to Feb. 1, with various events occurring each day for the brothers and recruits. The week began with an information session on Jan. 28, which allowed potential recruits to get to know each fraternity personally — everything from meeting the brothers to learning about the philanthropy of each fraternity. Throughout the week, brothers and recruits participated in a wealth of activities to work together and learn about each other including laser tag, community service events, a gaming truck, tours of the fraternity houses and formal interviews. While each potential recruit had their own reason as to why they wanted to join Greek life, two common themes included networking and academic excellence. Matt Simpson, a sophomore accounting major and vice president of Tau Kappa Epsilon, also expressed some of the benefits of joining fraternal life on campus. “Definitely networking, academics and on-campus involvement and leadership. It’s easy to get involved if you put in the work,” he said. With the formal recruitment process over, new members are looking forward to all their respective fraternities have to offer. “I look forward to going to work for Habitat for Humanity. [I love] helping people build houses who don’t have homes and giving back to the community,” Palmer said. Current brothers expressed their excitement for new members to be introduced to the new roles they will take on in the Rider community as a result of joining Greek organizations. “We look forward to seeing them grow and develop academically and socially and take on leadership roles in the community,” Simpson added. 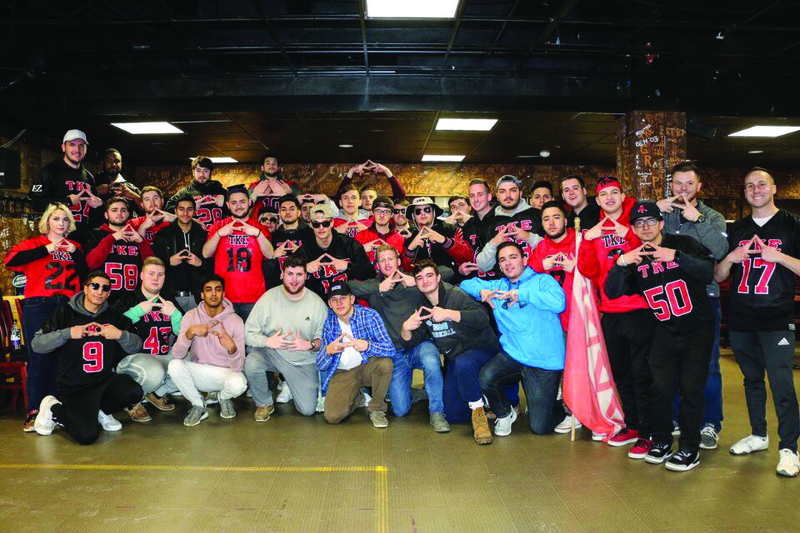 Students who missed the formal recruitment week don’t have to wait until next spring to join Tau Kappa Epsilon, Sigma Phi Epsilon or Theta Chi — there is also an informal recruitment process that operates year-round. If interested students meet the eligibility requirements of 12 Rider credit hours and a 2.5 GPA, they are welcome to begin the informal recruitment process. Matt Cecere, the fraternity and sorority life community director, offered advice to students interested in joining any on-campus Greek Life organizations.